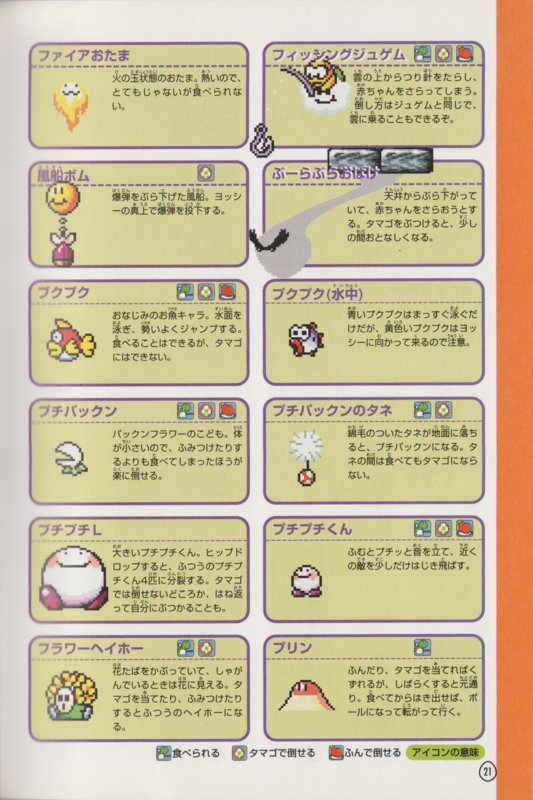 Puchipuchi L are Mildes that appear in Super Mario World 2: Yoshi's Island and Yoshi's Island: Super Mario Advance 3. They march around in a line and are very rare, only appearing as part of Marching Milde and in a few other levels. Like balloons, they pop if a Yoshi Ground Pounds on one. After a Yoshi pops a Puchipuchi L, it splits, making four smaller Mildes. Puchipuchi L return in Yoshi's New Island. Extra large versions of Puchipuchi L are present in the Marching Milde boss battle after she has been Ground Pounded into two, which in turn split into two common-sized ones. This page was last edited on September 24, 2018, at 02:22.